I’m forever struggling to make or buy snacks that my kids like. In a perfect world, I’d bake or make everything they ate but with three under three, a preteen and a teen at home, it’s hard to find the time and the ability to please everyone. Normally the older kids just grab a bowl of cereal or make some popcorn, but I can tell with the long summer days they’re getting bored of the selection. 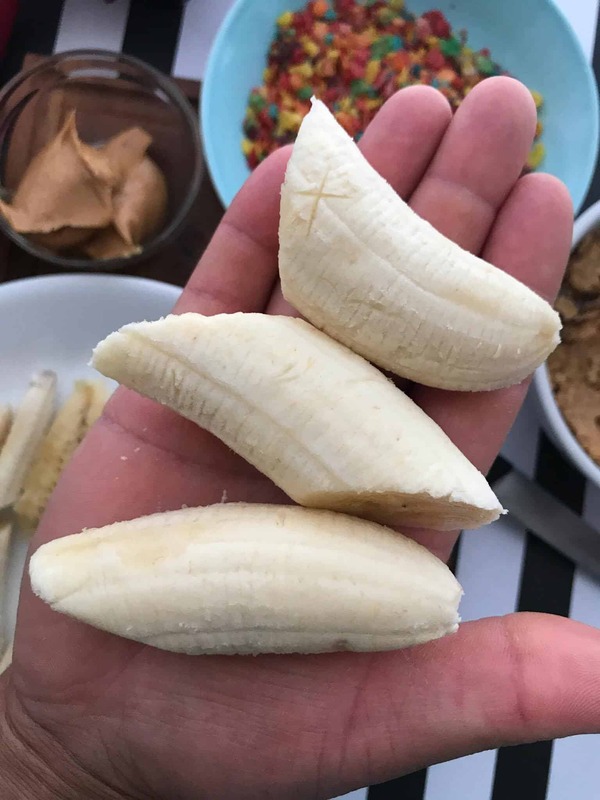 This past weekend I had a little bit of free time on my hands, so I decided to grab whatever little cereal was left and some bananas to try and make a 3 ingredient peanut butter banana snack for kids. 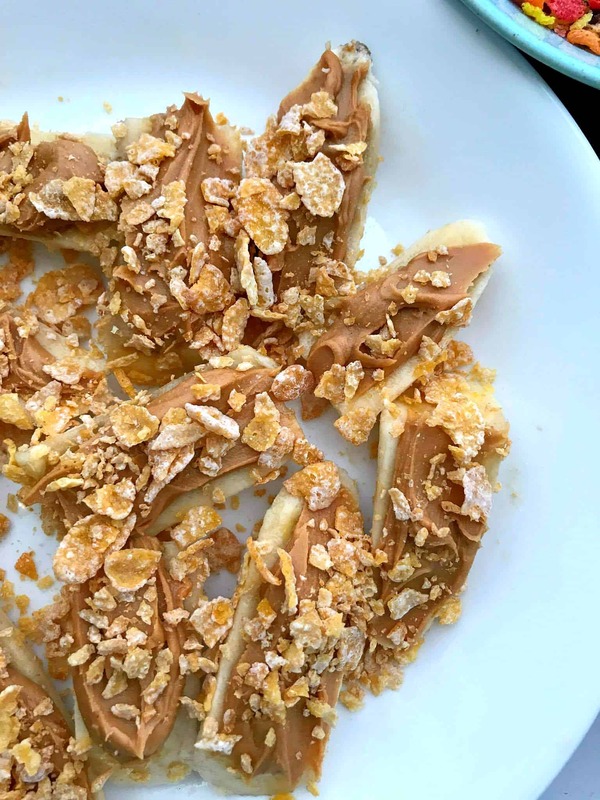 These 3 ingredient peanut butter banana snack for kids are super easy and fun to make! I chose peanut butter for the protein, and my choice of cereal was completely based on what I had on hand, Raisin Bran. I just bought a box of Cocoa Pebbles and I’m thinking that the kids would love the bananas dipped into something a little sweeter. 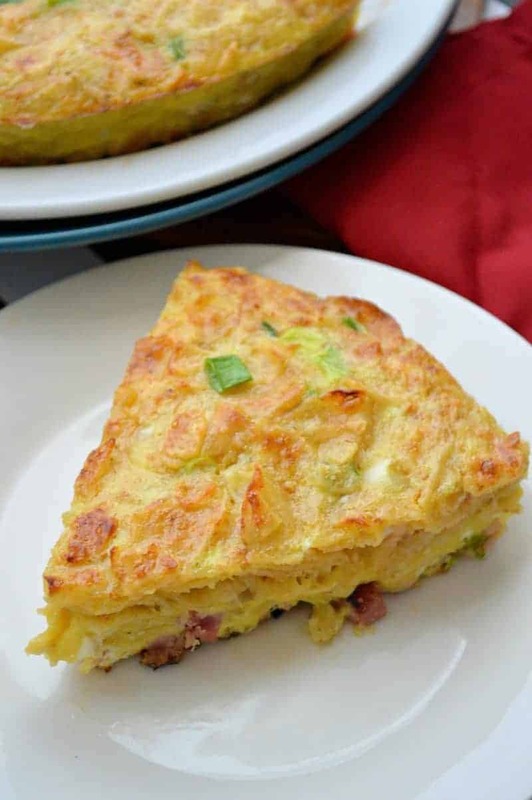 It makes for a perfect after school snack or a quick breakfast! 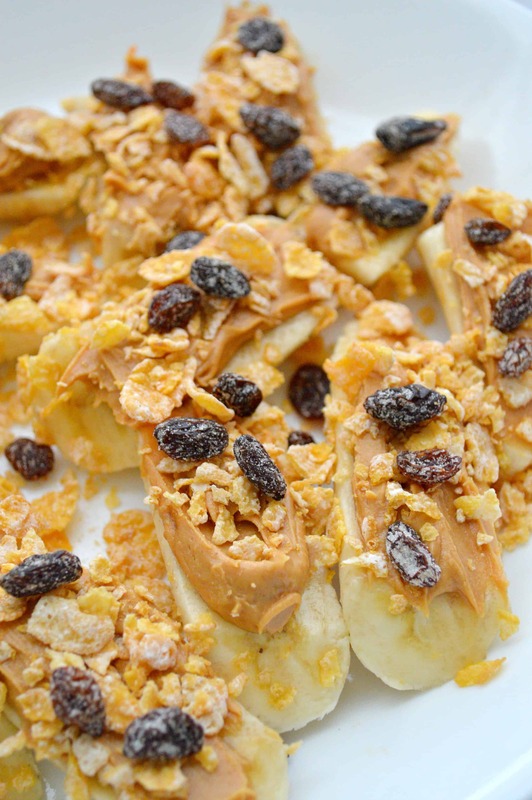 Check out the quick and easy to make 3 ingredient peanut butter banana snack for kids below. 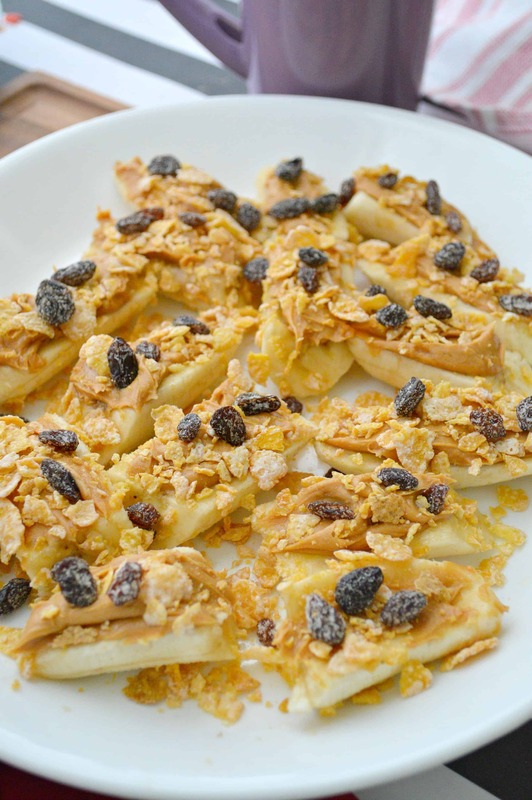 Simply cut your bananas into three section, top with peanut butter and sprinkle with cereal of your choice! 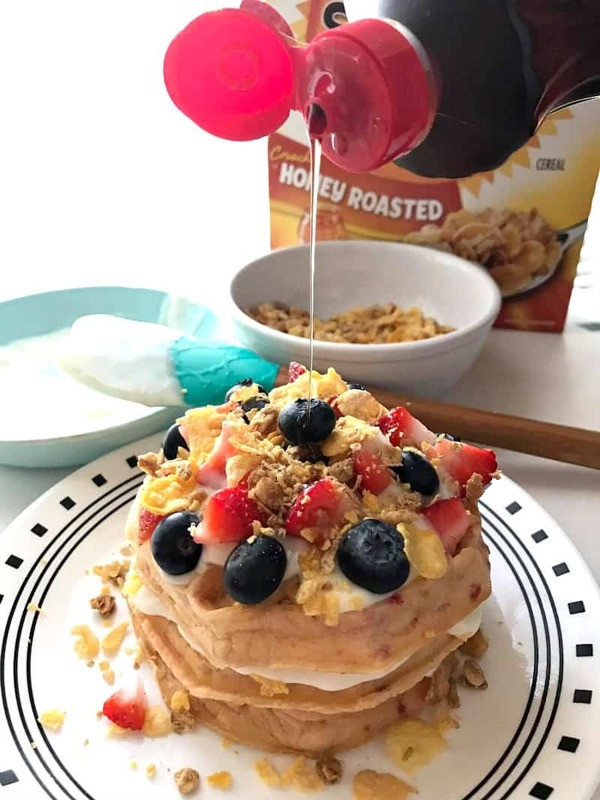 Click on images below for more easy to make recipes!